Manchester United manager Louis van Gaal says he has a good working relationship with the club’s executive vice-chairman, Ed Woodward, and has been in regular contact with the latter on transfers. United have signed winger Memphis Depay, midfielders Morgan Schneiderlin and Bastian Schweinsteiger, defender Matteo Darmian and goalkeeper Sergio Romero in the close season. They were heavily linked with Pedro Rodriguez, before the Spain forward, 28, decided to, instead, join Premier League champions Chelsea from Barcelona. “Every day I am updated by him and I trust him. I don’t think anyone has to doubt him because he has proven for many years that he is the right person in the right spot,” Van Gaal said in his media briefing ahead of Saturday afternoon lunchtime kickoff at home to Newcastle United. Van Gaal accused the media of fabricating lies on the Pedro rumour. He indicated saying last week the player fitted the profile of the club is not the same as confirming they wanted to sign him. Bastian Schweinsteiger Could Start against Newcastle on Saturday. Image: Getty. The 64-year-old Dutchman; however, stressed that he is contented with his current squad, should there be no more in-coming(s) at the club before the transfer window closes on 1 September. Among a host of other names who have been linked with the Red Devils is Sadio Mane, who Van Gaal’s countryman at Southampton, Ronald Koeman, insists is not for sale. 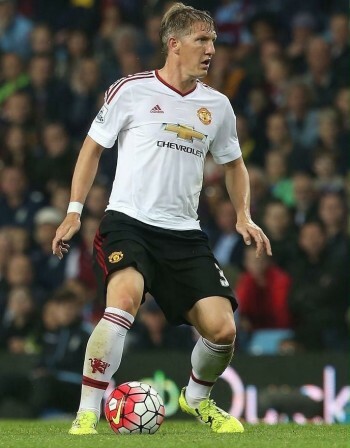 Meanwhile, Van Gaal did suggest that Schweinsteiger, 31, could be in line to start against the Magpies. The Germany skipper has accrued a total of 62 minute in the Premier League so far this season, and was a half-time substitute for Michael Carrick as United defeated Club Brugge 3-1 on Tuesday. “Maybe it shall happen tomorrow,” Van Gaal told MUTV. “You never know. I think he can still do better because when you are not fit enough then it is difficult to show your highest level. “But I think it’s also a matter of time and we have seen a solution in rotating our [second] captain, Michael Carrick, with Schweinsteiger.